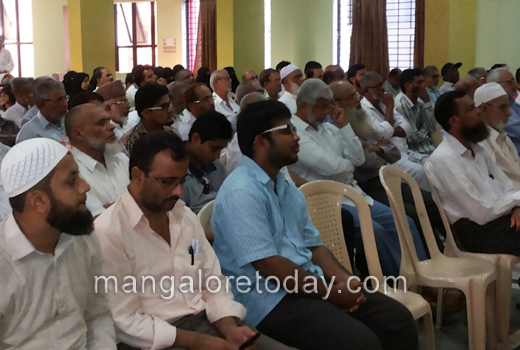 Udupi, Feb 27,2016: The messages of Holy Quran are a guiding light to the entire mankind. 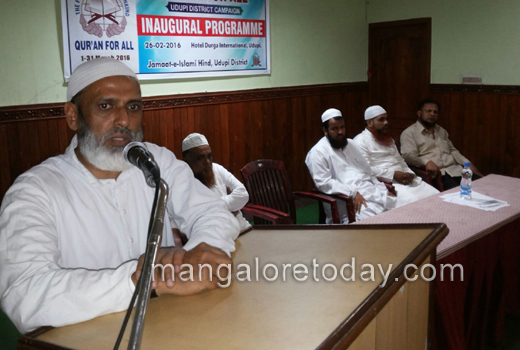 The Muslim community must try to reach out these messages to everyone in the society, said Mohammad Ataharullah Sharief, State President of Jamaat-e-Islami Hind. 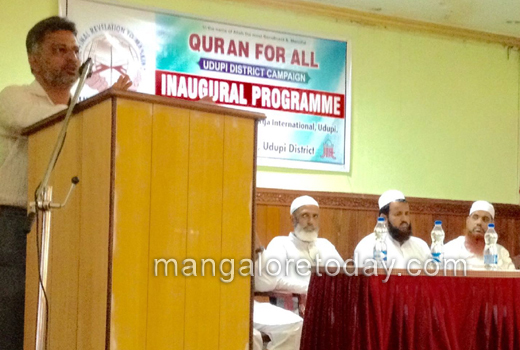 He was speaking after inaugurating a District level month long campaign ’Quran for All’ organised by the Jamaat-e-Islami Hind at the Durga International Hall of Udupi. 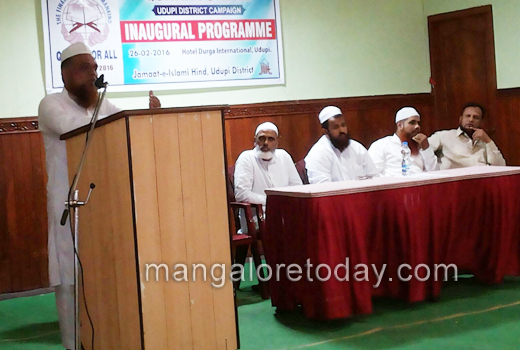 Maulana Maseehullah Khan Khasmi, Imam of Indrali Masjid, Maulana Rasheed Ahmed Umri, Maulana Taukhir Ahamed Khasmi, Imams of Udupi Jamia Masjid and Indrali Masjid respectively, Ashfaq Ahmed, President of Udupi District Muslim Okkoota and others were present.